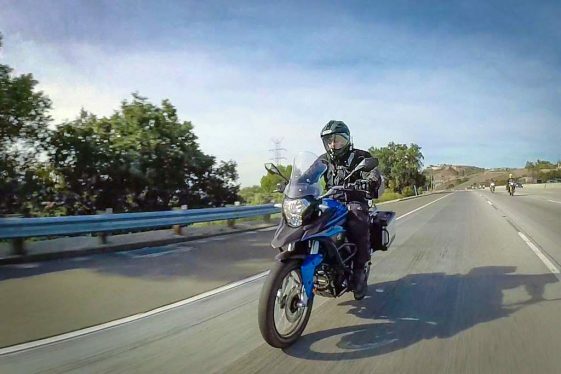  New motorcycle sharing site lets riders make extra cash renting their bikes. We’d all love to start every amazing adventure from the comfort of our own home but those pesky constraints, like a job, money, time, family, can make that just not feasible. That means some rides start by traveling to a start location involving trailering your bike or if you are flying, shipping your motorcycle — a major drain on your hard earned cash. That’s where ‘Riders Share’ comes in. Using the concept pioneered by Airbnb, this motorcycle sharing service lets potential renters search certain locations for bikes offered up for rent by their owners. Cornejo explained that the main thing that sets ‘Riders Share’ apart from other motorcycle rental sites is that every bike listed is covered by insurance. “It’s really hard to find motorcycle rental insurance. If you do not own a motorcycle you are going to have to find it yourself. We are the only bike rental business that offers rental insurance that is protective insurance.” Cornejo explains. So now you are starting to get on board, and wondering more about the specifics like how long you could rent a bike. “That is completely dependent on the owner. If I remember correctly the limit in the system is six months, but that would be pricey.” Cornejo says. Want to Rent Your Motorcycle? That sounds fine, but what about taking a bike down some gnarly trails? ADV bikes are much more likely to find themselves with some souvenirs from mother nature than street-only machines. I asked Cornejo about that as well. While the bikes now listed in this motorcycle sharing service are privately owned, ‘Riders Share’ is working on getting other companies, dealers, and websites to join in. “We are working on partnering with bigger brands, OEMs, and other motorcycle websites like CycleTrader and RumbleOn.” Cornejo says. As far as luggage or extras, the owners are encouraged to list as many details about their bikes as possible, such as if it has luggage or a rack system and which brand so a renter might be able to match it with luggage they already have. But before you buy your ticket to Spain or South Africa to rent a bike, this service is a very new business and almost all of the bikes available for rent are within the US. From looking at the website, it looks like one bike is offered in the UK, one in Germany, and one downunder in Australia. Yet in the US, they have more than 500 bikes offered for rental across the country including 10 bikes in Hawaii. While there aren’t many options for American ADVers to leave their bikes at home and rent from local owners across the globe, we do have the unique opportunity to help our fellow ADV enthusiasts that live elsewhere by listing our bikes. If you do, you have the option of turning down any proposal you don’t like (making sure you aren’t away from your bike for too long). Also, to incentivize you to follow the rules, you still get paid if the the renter shows up to get the bike without a proper license or is intoxicated or otherwise unable to ride. 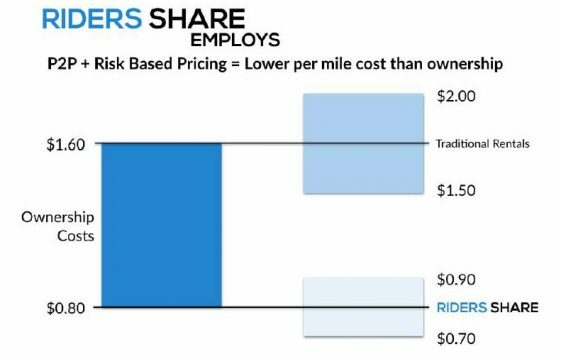 This shows ‘Riders Share’ is focused on safety and doesn’t want to punish people that list their bikes if the renters are less than legit. As the company grows, we will see how many bikes are added and where. And to all of you traveling abroad soon or currently, tell adventure bikers across the world to list their bikes so we can broaden this motorcycle sharing community. For more information go to www.riders-share.com. Yes, I will let somebody touch one of my bikes, let alone ride it. We pay a significant amount in insurance to make it work. So far we have had only one accident, the owner was paid $3,000 for the full amount of his bike (an older 600RR), over 350 rental days completed. Hope that helps!